259 p., 14,7 x 20,8 cm. 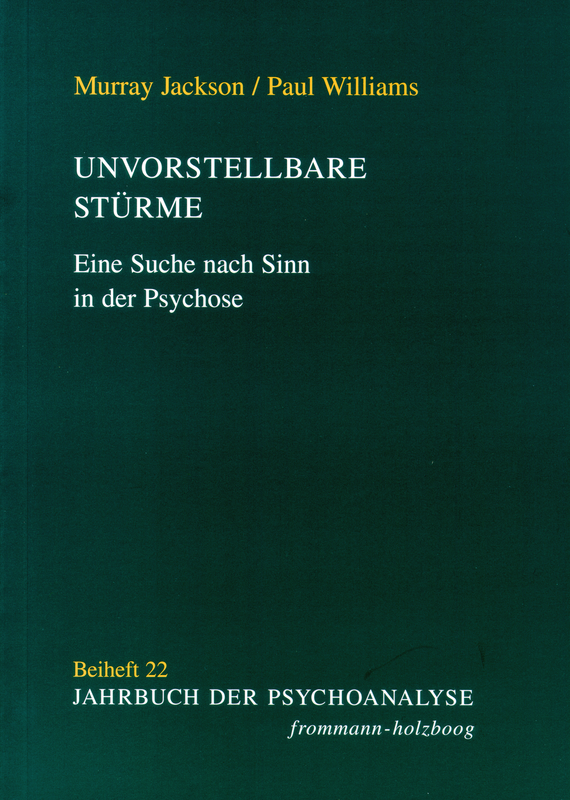 Eine Suche nach Sinn in der Psychose. Prefaces by Elmar Etzersdorfer, Murray Jackson, Gerhard Schell, John Steiner and Paul Williams. This book contains the essence of many years of experience in therapeutic work with psychotic patients on hospital wards. Vivid clinical examples shed light on the significance of illnesses such as paranoid schizophrenia, catatonia, psychotic anorexia and manic-depressive disorders. Moving and detailed in-depth interviews provide a unique insight into the patients‘ experiences and an understanding of the processes on which these are based. Possible treatments are shown which can decrease suffering, reduce the relapse rate and improve the patients‘ quality of life. The authors‘ courageous, intelligent and humane approach can be found throughout the entire study, published here in German for the first time. In eindrucksvollen, detaillierten Tiefeninterviews werden die Lesenden hineingenommen in die Arbeit des Sinns angesichts der Abgründe des Menschlichen.